Chateau de Trybze is a 3-Star hotel located at 51, Suez Crescent, Zone 4, Abuja, Nigeria. 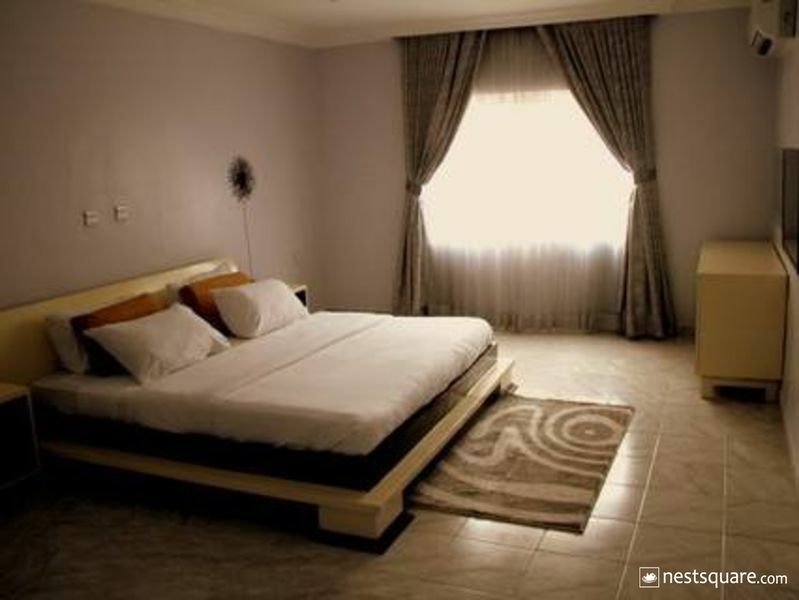 It is a minute walk from Sheraton Hotel and a few km from Silverbird Galleria. Room Categories in the Chateau de Trybze include Standard room, Super Standard room, Executive room and Super Executive room. The rooms are decorated with local essence and comfort and are equipped with an air conditioner, ornate lampshades, work desk, telephone, flat screen TV with satellite channels, a fridge, armchairs and an en-suite bathroom. All guests are entitled to complimentary breakfast. A number of facilities are available at Chateau de Trybze: An on-site restaurant and bar(guests can order a variety of food and drinks from here), free Wi-Fi and free private parking is available onsite. It offers additional services on requests, such as 24-hour front desk, free shuttle service, concierge service, luggage storage, express check-in/check-out, cleaning services, dry cleaning/laundry service, business centre and a meeting/banquet facility. Chateau de Trybze is located at 51 Suez Crescent Abacha Estate , behind Sheraton Hotels and Towers Wuse, Abuja, Nigeria. Click here to view nearby places like Restaurants, Bank ATMs, etc.